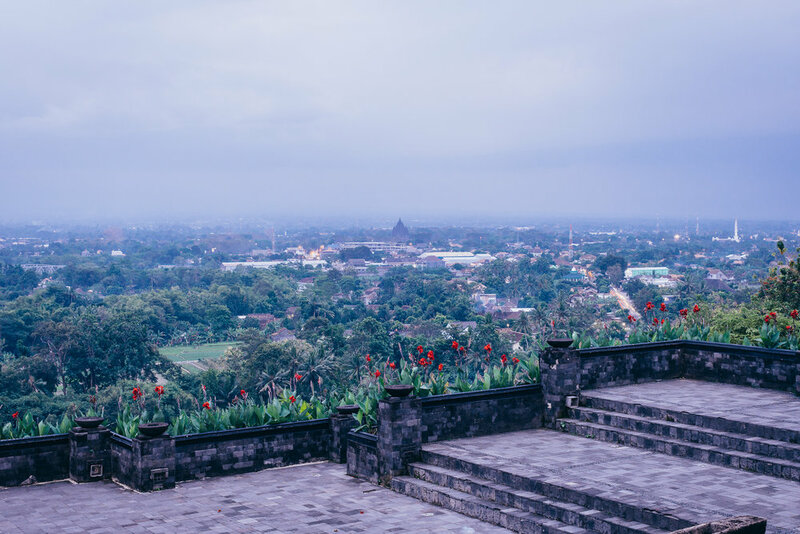 Yogyakarta, and the area surrounding it, is filled with so many incredible things to see and do that it’s hard to not recommend every single one. The views were ethereal before and after the sun came up. 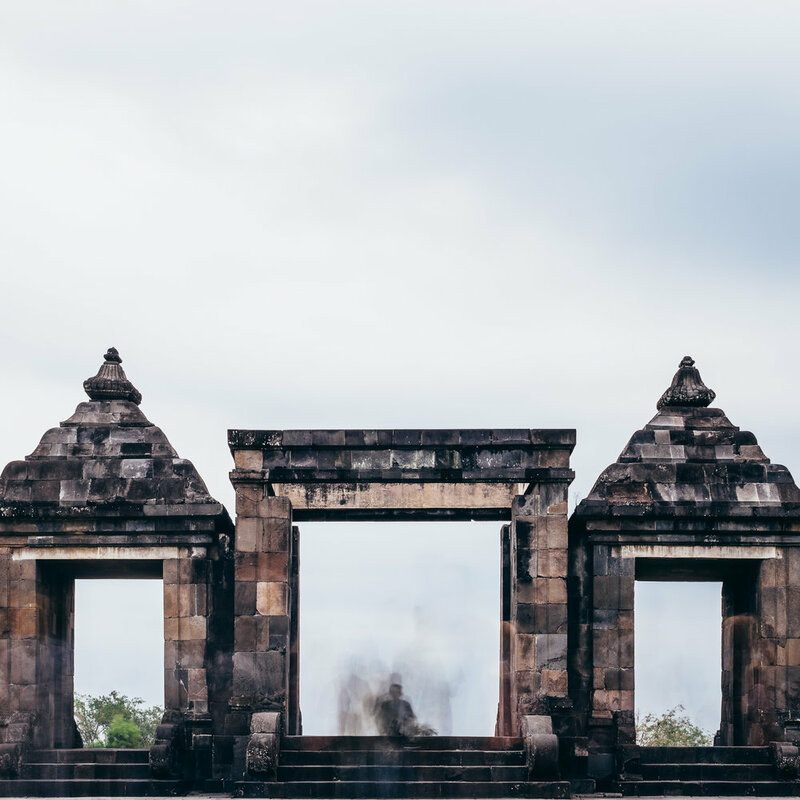 While there are astonishing and breathtaking natural sites to visit all throughout the region of Yogyakarta, we fell in love with some of the historical structures and think you will too. If you do plan on visiting, we’ve also included the entrance fees to each of the places and simple instructions on how you can get there from Yogyakarta. 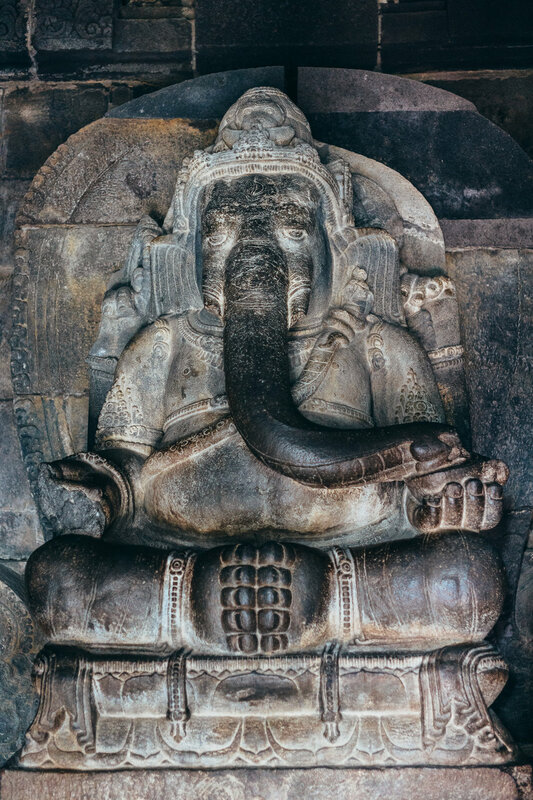 So, here are are some of the temples and historical sites that we’d recommend to any fellow traveler! Often times, we make lists in no particular order. This is not one of those times. 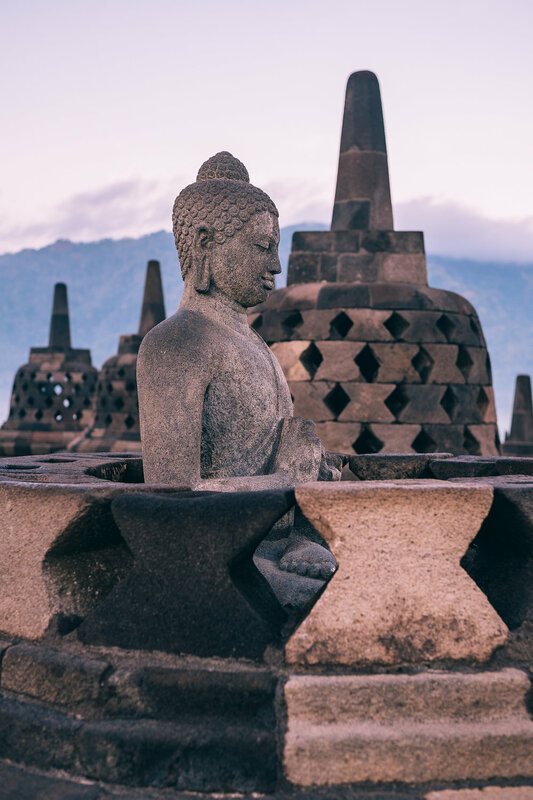 Borobudur was our favorite temple/location near Yogyakarta (located in Magelang, about an hour away) and if you could only visit one – this is the one we would recommend visiting (especially at sunrise!). 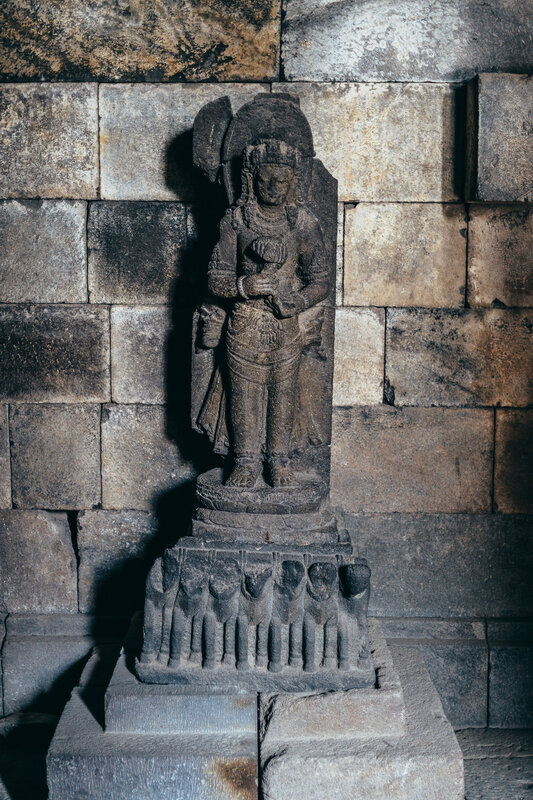 Borobudur is a Buddhist temple that was built in the 9th century (yes – well over 1,000 years ago!) and is the largest Buddhist temple in the world. 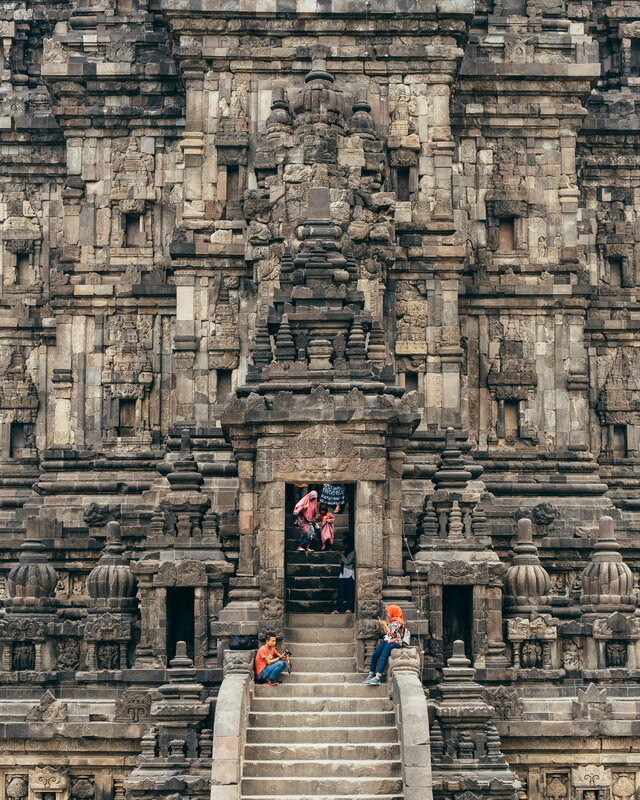 For obvious reasons, tourists and travelers from all over the world visit this temple daily, from sunrise to sunset, making it one of the busiest temples on the island of Java. 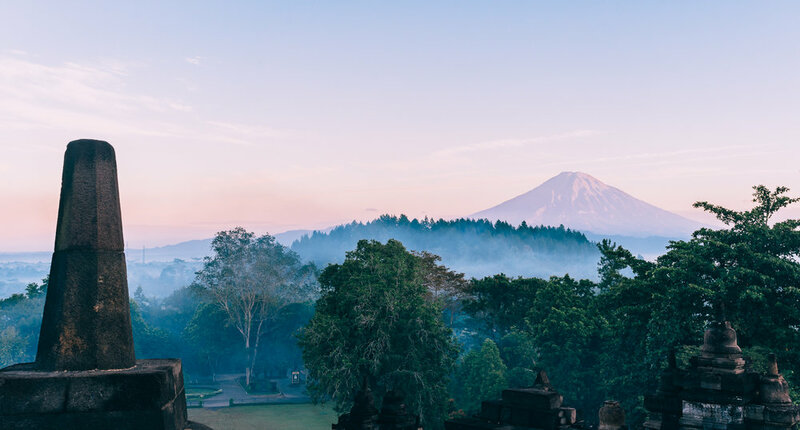 The ONE recommendation we'd make in regards to Borobudur is that if you are going to visit, you have to go at sunrise. It’s not just about getting the most beautiful photos/selfies (which you most certainly will get), or the experience of getting up there that early – it’s really just about getting there before the hordes of tourists that arrive in the late-morning or mid-afternoon do. It isn’t immediately apparent when you should visit at first though, because the temple technically opens its doors at 6:00 AM, which is already after sunrise, and closes at 5:00 PM, well before sunset. So, the only real way to experience the Borobudur Temple at its optimal times (aka before/after the scorching heat and crowd congestion) is to go with the special passes that the Manohara Center of Borobudur Study offers. These allow you to visit at 4:30 AM in the morning if you choose the sunrise option, or stay until 6:30 PM if you go with the sunset option. We hands-down recommend the sunrise option and believe that it is worth the slightly higher entrance fee (prices below). We arrived on time, got our tickets and flashlights, bought a much-needed coffee, and waited until 4:30 to access the temple. After that, it was all pretty straight-forward. We claimed our spot up at the temple as soon as we arrived, witnessed one of the most beautiful sunrises we’d ever seen, and then had our time to explore the temple itself and all its intricate details. Upon returning, you’re treated to refreshments they provide (snack and tea/coffee) up until 9:00 AM, as well as a chance to visit the Borobudur museum. Take the public bus that departs from Jombor Station for Rp25,000. You can get to the bus station using Transjogja or via a cheap Grab. Public transportation tends to take time, so plan for possible delays. If you do plan to go at sunrise, we suggest doing what we did, which includes getting there the day before and staying at either a nearby guesthouse or the Manohara hotel. If you need help picking the right hotel, check out how we do it! **It’s also worth mentioning that Manohara offers lodging options – which would have been the epitome of convenience – but the rooms were outside of our budget. 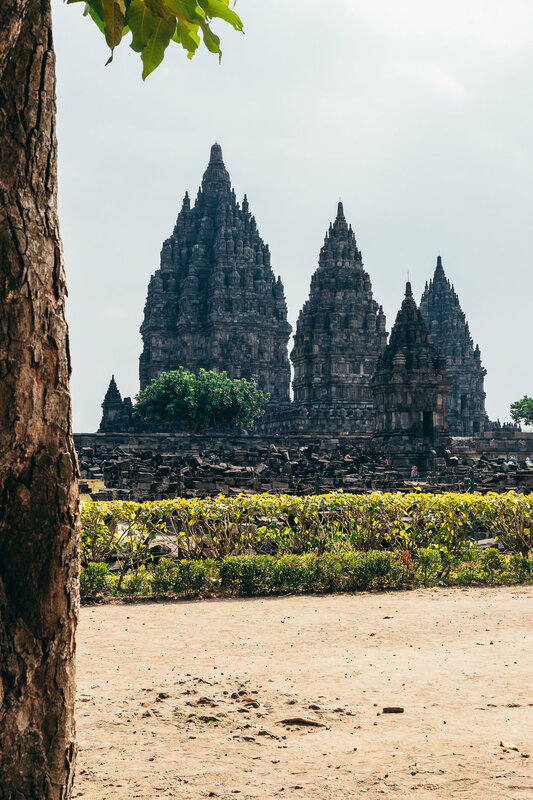 Prambanan is a collection of about 200 temples that were all also built in the 9th century, and all collectively equate to being the largest Hindu temple site in the world. The temple maintains its majestic beauty despite having gone through its second severe earthquake in 2006; restoration is constantly being done to conserve the temple and the history contained within, and their efforts are obvious. So how do you know what you're looking at when you're there? These two were awesome tour guides! 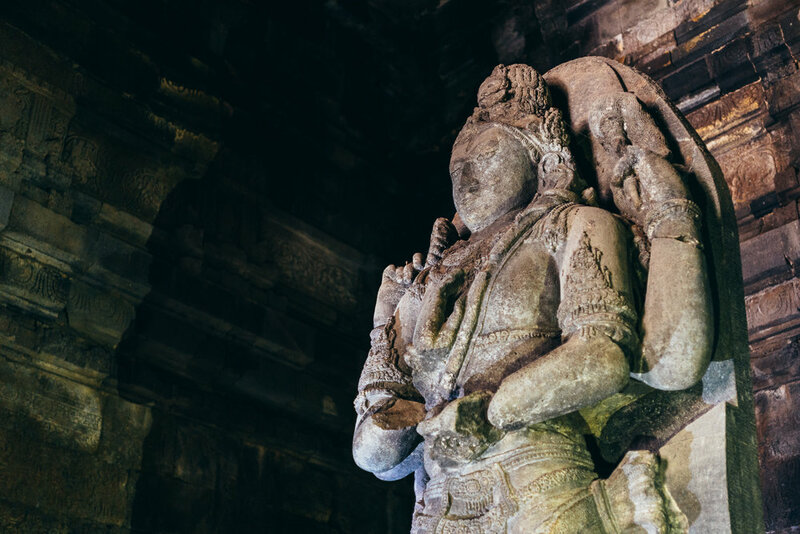 The temples have intricate and significant details carved into their walls, including reliefs of the Indonesian version of the Ramayana epic story; the ballet depicting this story can be found at the end of the article! The complex opens their doors at 6:00 AM, but we decided to visit Prambanan in the afternoon so that we could catch the renowned sunset at Ratu Boko right after. 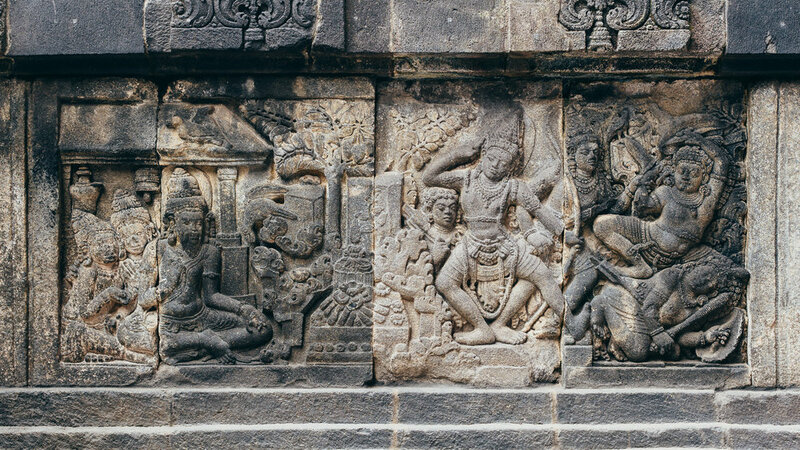 The cheapest option is taking a bus from Malioboro street to Prambanan temple, which costs about Rp3,600 ($0.30). We opted to take a Grab because we were in a rush and only ended up spending $3.75 for the 30-minute ride. Ratu Boko is a must when you visit Pramaban. 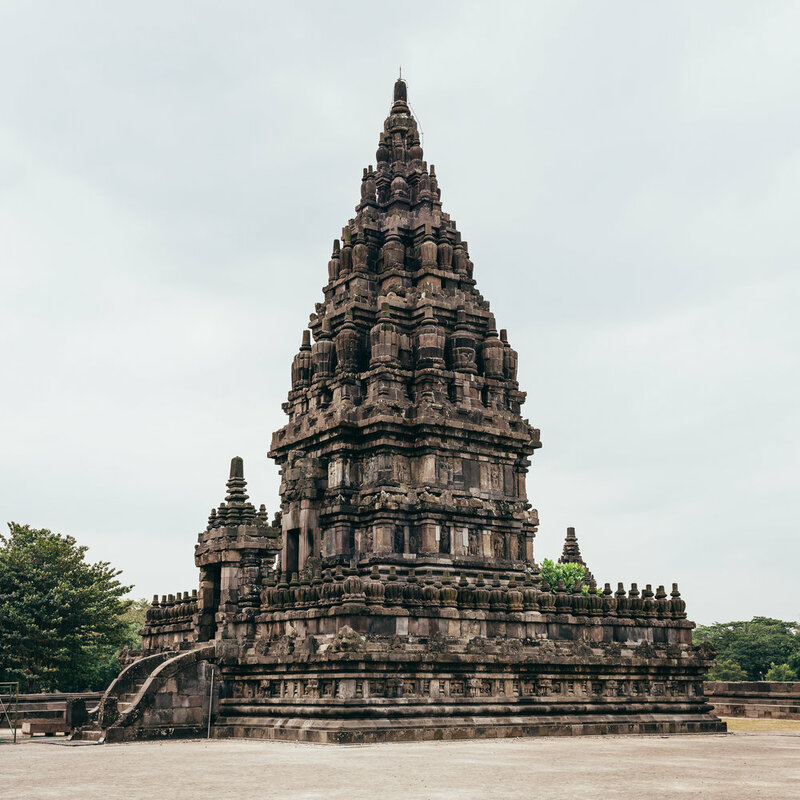 It is located on a hill that’s about 3KM away from Prambanan, or just a 10-min ride on the FREE shuttle bus provided at the Prambanan temple when you purchase the combo entrance ticket. This entire site isn’t flashy or blatantly impressive. Instead, it is captivating because of its size and tranquility, as well as its beautiful views (which are everywhere, since Ratu Boko is almost 200 m [~650 ft.] above sea level). We recommend visiting this at sunset, which can be quite incredible, as the sun sets right behind the entrance of the archeological site. 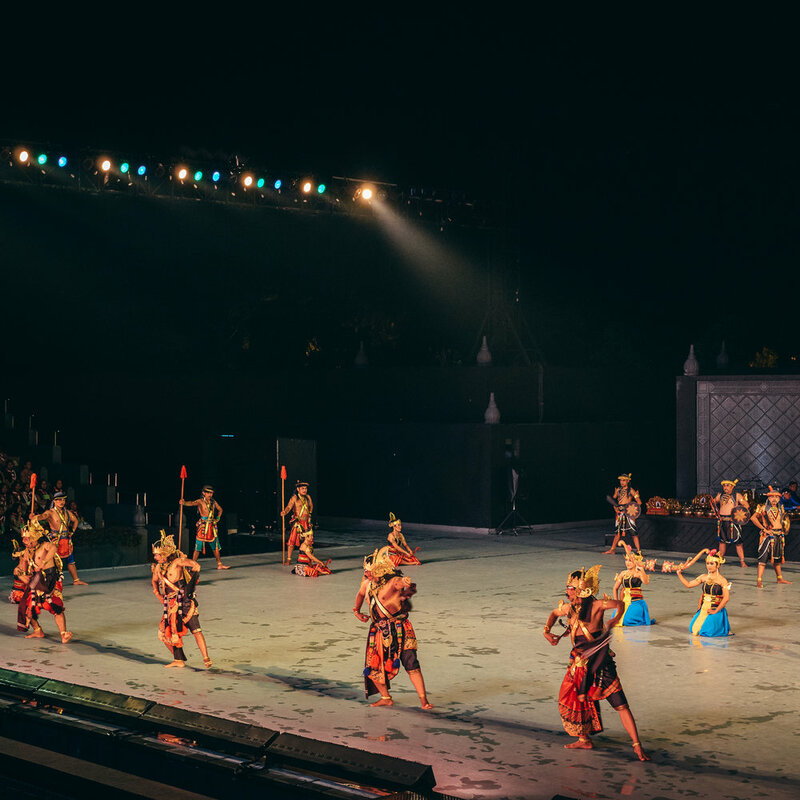 The Ramayana Ballet is a show that encapsulates the music, dance, and culture of the Javanese, and all happens with the backdrop of the Prambanan temples. 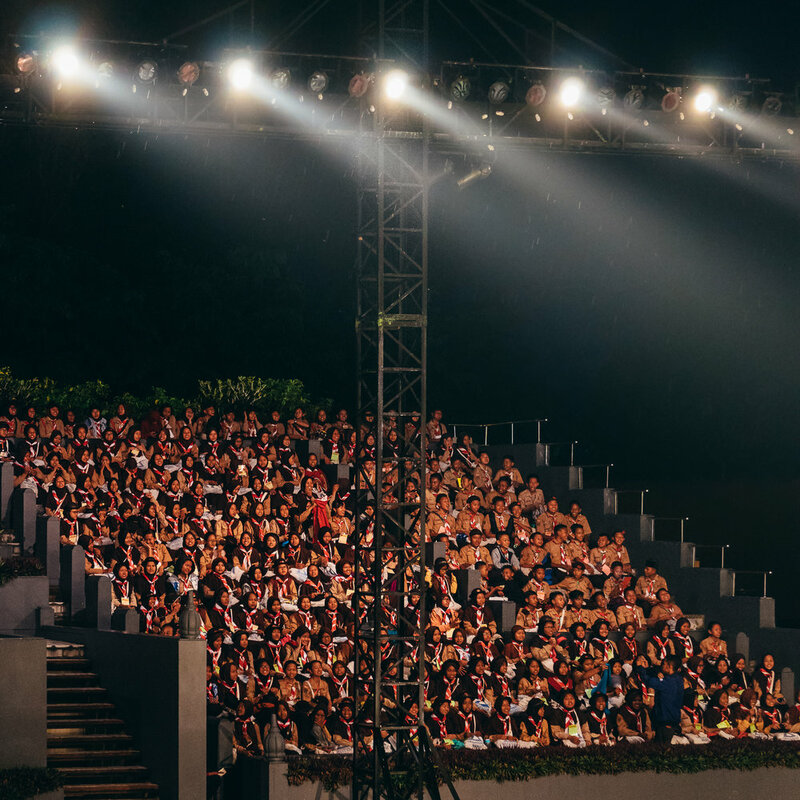 The production is just as big as you might suspect, with over 200 performers (dancers and musicians) bringing this Hindu-based story to life on this open-air stage. It rained quite a bit the evening we visited, and moments before the start of the performance, several workers arrived with brooms to sweep the water off of the stage. 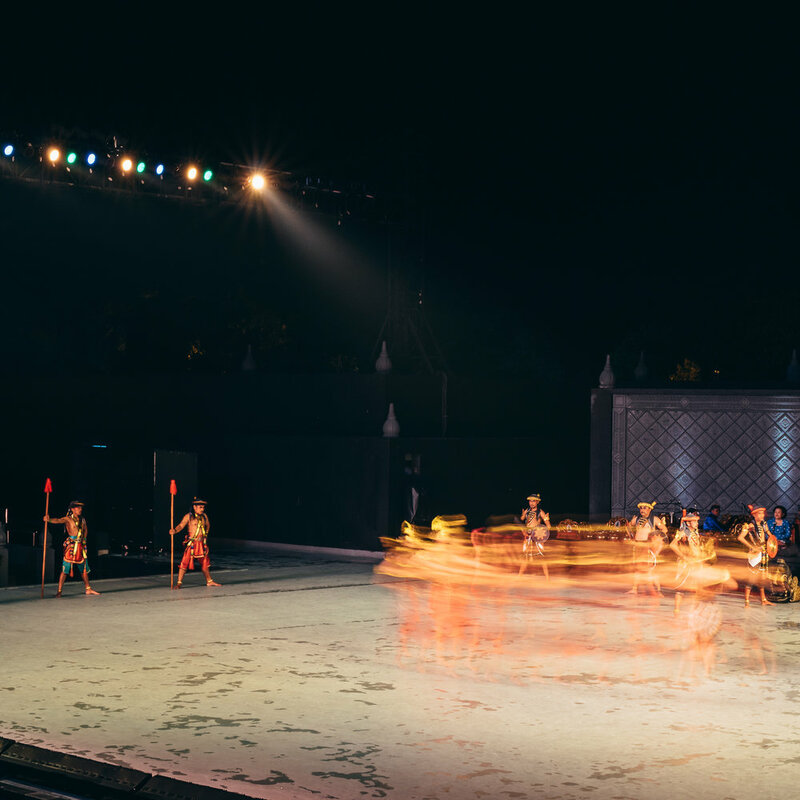 Needless to say, the show is put on by literally hundreds of professionals and is worth delving into if you find the Javanese culture interesting. We certainly do! Adults: Rp125,000 (USD $9.50) to Rp400,000 (USD $30), depending on seating. 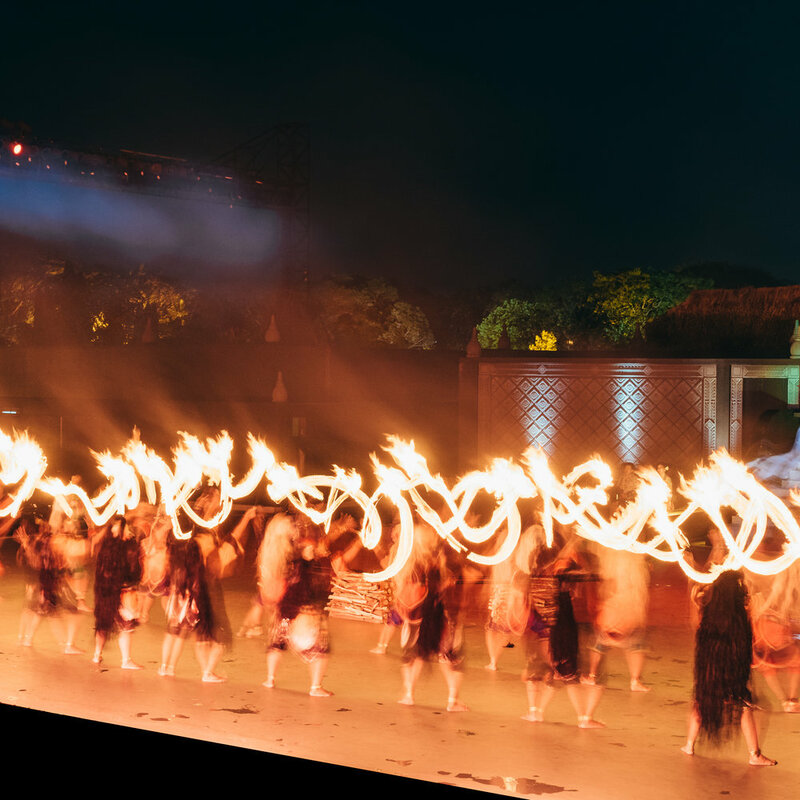 For more info visit the Borobudur Park website. This article may contain affiliate links; anything that you purchase will help support this site at no additional cost to you. Also, opinions found in this article are authentic as always!